The NATIONAL LAW SCHOOL OF INDIA UNIVERSITY came into existence through a Notification under the NATIONAL LAW SCHOOL OF INDIA UNIVERSITY Act (Karnataka Act 22 of 1986). It signified the culmination of efforts by the Judiciary, the Bar Council of India, the Karnataka Bar Council, the Bangalore University and the Government of Karnataka to reform legal education and to establish a centre of excellence for legal education and research in India. The Law School has a campus of its own, located in Nagarbhavi, about 10 kms from the City railway station and standing over twenty-three acres beside the Institute of Social and Economic Change. The Chief Justice of India is the Chancellor of the University. The Chairman, Bar Council of India, is the Chairman of the General Council. These connections lend a stature and prestige to the School which is unparalleled in the history of legal education in India. The Karnataka Act confers complete administrative and academic autonomy which facilitates innovation and experimentation in the pursuit of excellence in legal education. The first batch of students was selected through a National Entrance Test, and regular academic activities began on 1st July, 1988. It was a significant achievement that students from this batch won the Bar Council of India National Moot Court Competition in their very first year of legal education. Ever since, admissions to the Law School has been on the basis of performance at a National Entrance Test which has now, since 2008, graduated to a National Level Common Admission Test known as the Common Law Entrance Test (CLAT) and it operates to select candidates for all the National Law Schools in the country. Twenty-four batches have completed their studies here. Many students have pursued further studies in their chosen areas of Law in other prestigious Universities like Oxford, Cambridge, Warwick, Harvard, Yale, Columbia, Michigan, York and other Universities abroad on prestigious scholarships like Rhodes and INLAKS. Many have joined practice of the law in India at various levels from trial courts to the High Courts and the Supreme Court; some have set up independent law practices alone or conjointly with other alumni of the Law School; many have joined corporate law firms both in India and abroad; some have joined work with national and international NGOs; some with UN organisations, the World Bank and the IMF; some have joined the academic profession, teaching in this University, the NALSAR, Hyderabad, the NUJS, Kolkata, Cambridge, the LSE, East Anglia, the National University of Singapore, etc. ; some have joined the Judiciary, and a few have joined the Civil Services. The National Law School has exchange programmes with the National University of Singapore, Osgoode Hall Law School, York University, Canada and Buceuius Law School, Germany. Students from the Law School have spent a Semester in these Law Schools and their students have spent at least a Trimester here. This has facilitated exchange of ideas and culture between not only the law schools but also the countries. Faculty members of this University have gone to the Universities of Wales, Warwick and Nottingham and Faculty from these Universities have spent some time here doing teaching and research under the Exchange and Faculty Improvement Programmes facilitated by the British Council, Chennai. A number of professors and judges from the U.S.A., Canada, U.K., Australia, Singapore, Hong Kong, China, South Africa, Malaysia and New Zealand have visited and interacted with, and even taught, at the Law School. The challenge for the Law School is to stay ahead especially in the context of globalisation. The Law School has the social responsibility of continuing to be a Centre of Excellence in the field of legal education, a position which it came to occupy within the first ten years itself due mainly to the dedicated efforts of the Faculty and students during those initial and formative years. Globalisation has thrown up new challenges, and the professional legal education has to cater to the growing demands for skilled legal professionals who can effectively function in the emerging legal order. 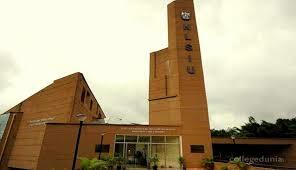 To know more about NLSIU, you can download the official prospectus HERE.